This is brute and heavy bulldozer crust from Melbourne, Australia going berserk! 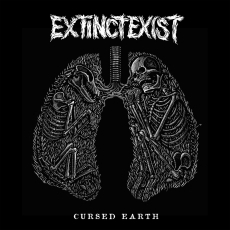 EXTINCT EXIST features members of NUCLEAR DEATH TERROR, PISSCHRIST and ABC WEAPONS at work and you might get a hint where this journey will take you. Their 4 track Demo Cassette*, recorded in 2013 sold out within no time and we’re happy to announce 6 new blasting tracks for this release! Expect no blunt D - Beat , but rather the old " Peaceville , Metal , Punk " school! Crucial Crust just like: "The sound of an blood encrusted war- machine running rampant in your living room". Recorded at Goatsound by Jason Fuller - Dec 2013 Mixed by Heng Shen Yeap April 2014 - Dec 2014 Mastered at Enormous Door by Jack Control - Dec 2014 Artwork by Santiago Mazatl. Includes a 8" x 8" - 16 page Booklet with lyrics, artwork and explanations. 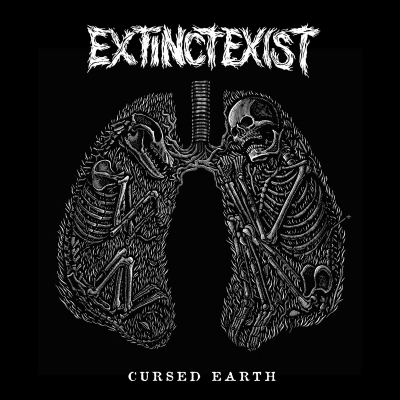 Co-release with ABORTED SOCIETY RECORDS / USA. Their first and "lost" studio album from 1988 year. First time on vinyl. Cold wave/post punk with a little bit Swans influence. This is the sixth studio album of the long going scottish anarchist punk band "OI POLLOI" (ancient slang for "The Common People") - 15 new songs recorded in 2014 with an retrospective of the many musically influences of previous OI POLLOI records. Here you find the anarcho charged sing-a-long Oi!Punk in exchange with D-Beat-Crust and of course classic UK Anarcho Punk ... - Comes with two (2) additional inserts! Another MUST have! A re-release of this classic album with their early recordings collected by DOA´s Joey Shithead after his visit in Poland in 1985. Previously released by Maximumrocknroll. This Product was added to our catalogue on Thursday 02 June, 2016.